Salt Lake City, the state capitol of Utah, is a mountain valley surrounded by the most beautiful mountains – full of activities, fresh air, an airport within 10 minutes of downtown, and venues galore ready to host your next event. Quite frankly, the list goes on, but the truth is, with an airport with several major hubs, that’s only 10 minutes from downtown, which hails themselves as one of the safest and cleanest cities in America – that also happens to have countless large volume hotels, a convention center, and multiple smaller and unique venues – there’s simply no reason to not host your next your event in Salt Lake City. If your planning to host a large event, then the Salt Palace Convention Center’s 675,000 square feet of meeting and exhibit space is the perfect place to host. Located in the heart of downtown, with a light rail station located only a half block away with direct transport to and from the airport r – and several hotels, restaurants, and several high class shopping and recreational in its vicinities, the Salt Palace is a prime spot for large exhibitions and conferences. 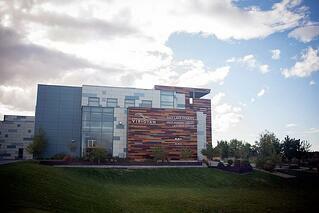 The Falls Event Center is one of most event planner friendly venues in Salt Lake City. Whether you want to bring your vendors with you, or have vendors suggested - the Falls Event Center is willing to work with you. 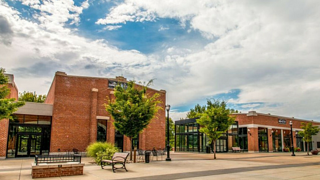 The center consists of two separate buildings, totaling 16,000 sq ft - that can be rented separately, or together. Planning to utilize a mobile event app at your event? No problem - the Falls Event Center has free WiFi for your event attendees, in addition to theater seating ready, game rooms, PA systems, surround sound and more. This technology advanced event venue is a premier spot for any event planner looking to plan a small get-a-way retreat, or even a larger unique tech advanced conference. 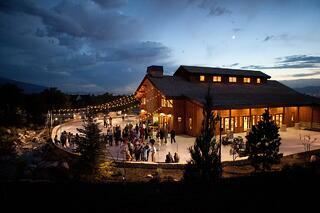 (Check out some of their stunning venue photos on their blog, here). 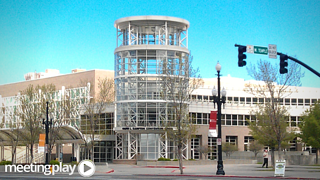 Part of the Salt Lake County Library System, the Viridian is another great example of the beautiful architecture that exists in downtown Salt Lake City. A full service venue of only 7,100 square feet of indoor space make the Viridian a more intimate location for events - or the perfect break off meeting/session venue. However, being part of the Salt Lake County Library system, though the space may be smaller, the prices are even smaller - making the gorgeous Viridian an almost too good to be true of a find. 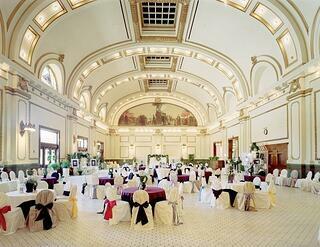 Located Once used as Salt Lake's central Union Pacific Depot with construction completed in 1909, the Gateway's Grand Hall is absolutely breath taking, and would make a beautiful venue for your next event. Better yet, the Gateway is home to Utah's only open air shopping center (which even includes heated outdoor grounds for during chillier winter months). Don't plan to include meals in your event? No problem - the Gateway has over 80 stores and restaraunts to keep your event attendees occupied and full! Located on the campus of the University of Utah, you find yourself in one of Salt Lake City's most beautiful locations - the Red Butte Garden. During warmer months, the beautiful outdoor gardens of the University of Utah's Red Butte Garden are perfect for larger events in the garden or ampitheatre. 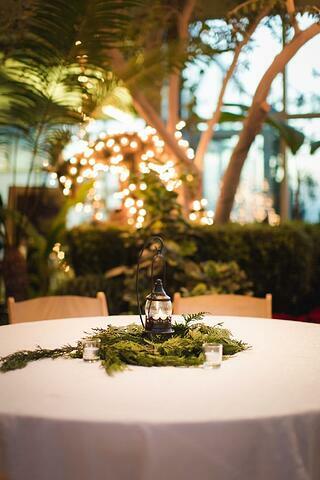 During the snow fallen winter while space is a bit more limited to indoor space, the all natural light, open views of the gardens make Red Butte Gardens a perfect event venue for smaller meetings or breakout sessions, or special gala or attendee award dinners. The Red Butte Garden venue is absolutely so stunning - indoors and outdoors - we couldn't even begin to describe it, you need to see it for yourself. With nine venues, Salt Lake's This is the Place Heritage Park sits atop the East Bench of Salt Lake City - overlooking the entire valley. From smaller venues that can make host a beautiful intimate special event or awards gala for your conference or company event, or for events up to 500 people - This is the Place has a truly beautiful accommodating venue.Event attendees can also enjoy the beautiful scenic train rides around the park, the plethora of natural walking pathways, horseback trail rides, and other various breakout session fun all while staying right on site.